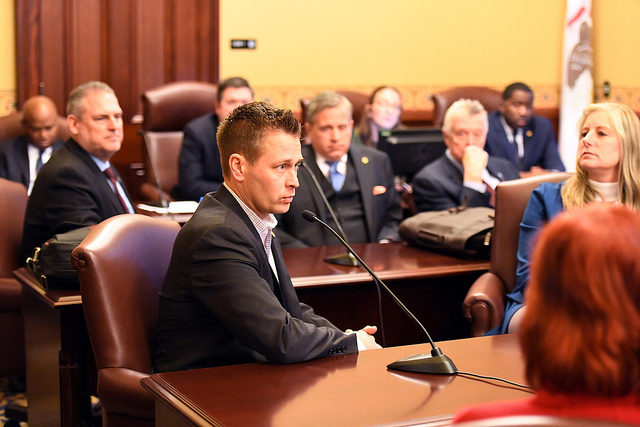 State Representative Joe Sosnowski, R-Rockford, has filed a resolution in the Illinois General Assembly stating opposition to any legislation that would impose a tax on the transfer of financial assets on a market platform that is based within Illinois. Sosnowski’s bill is House Resolution 212. Transactions on market platforms based in Illinois play an essential role in creating and stabilizing a global market and prices for debt securities and interest, financial instruments, currencies, and essential commodities of all sorts, including foodstuffs, motor fuel, and energy. The financial securities that are traded in Illinois-based financial transaction platforms or enjoy market value based upon those platforms are used by millions of Illinois workers to save for pensions and retirement. An estimated 100,000 jobs are connected directly or indirectly to Illinois financial markets. These jobs create income tax revenue from wage taxes withheld, sales tax revenue from goods purchased, and other tax and fee revenues essential to the budget of the State of Illinois and its local governments. Legislation to impose a financial transaction tax in Illinois has been introduced as House Bill 23, sponsored by Representative Mary Flowers, D-Chicago. The Flowers bill would impose a $1-per-transaction tax on the Chicago Stock Exchange, the Chicago Mercantile Exchange, the Chicago Board of Trade, and the Chicago Board Options Exchange. The tax would be imposed on transactions for which the underlying asset is an agricultural product, a financial instruments contract, or an options contract.